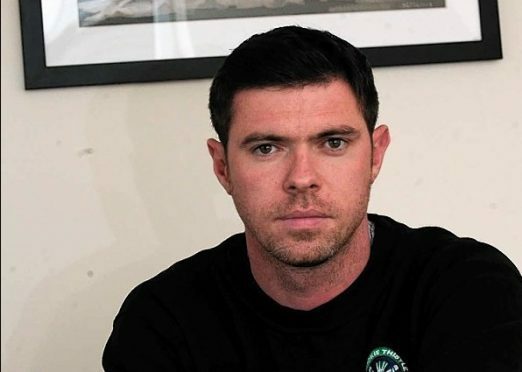 Buckie Thistle manager Graeme Stewart hopes the sickness bug which has swept through the Jags camp clears in time for their Scottish Cup tie against Lowland League leaders BSC Glasgow on Saturday. The Highland League champions were forced to field a weakened side at Inveurie Locos and the Garioch club ran out comfortable 3-0 winners at Harlaw Park. Stewart knows he can ill-afford more absentees this weekend and said: “Hopefully, we have five or six of the lads back for Saturday’s cup tie. The only problem is that there’s little likelihood that any of the boys who are injured, guys like Sam Urquhart, Stuart Taylor and John Maitland, will be fit. Stewart knows that BSC lost 4-2 to Civil Service Strollers last weekend but he is still expecting a tough encounter at Victoria Park. He said: “We will study the reports and it will have my full attention so I can prepare Thursday night’s training session based on the information we’ve received about the opposition. “We are at home and I imagine we will have a big crowd behind us as Victoria Park this weekend but we also have to be aware of their strengths and weaknesses.